Business-centric FZ-Y1D will incorporate HDMI 2.0-in with HDCP 2.2 for $4229. Otherwise, the reinforced chassis remains identical. 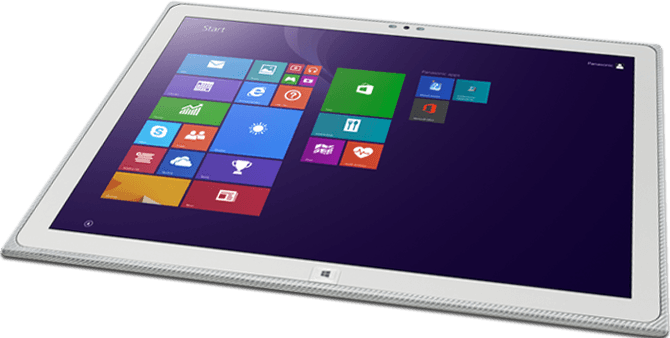 The changes are catered directly towards professionals as the Toughpad series is not a typical consumer device. For example, the HDMI-in port will allow videographers and photographers to plug cameras and use the native 3840 x 2560 tablet resolution as a large viewfinder and for editing. The manufacturer claims this functionality to be possible through a proprietary software solution. With that said, it's a bit disappointing to not see Skylake processors available as the ULV i7-5600U is the highest option. The new Toughpad with Windows 10 Pro launches later this month to early December for a list price of $4229. A Windows 7 model will also be made available by January 2016. All Toughpad purchases come with three-year warranty as standard. For more information on the specifications and hardware of the FZ-Y1, see our previous post here.